Life is full of bits and pieces of all kinds. 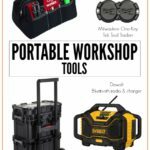 When it comes to tools and projects you can bet there will be a bazillion bits and pieces you may need. Today I’m getting organized with two Husky tool bags to help corral all the items. 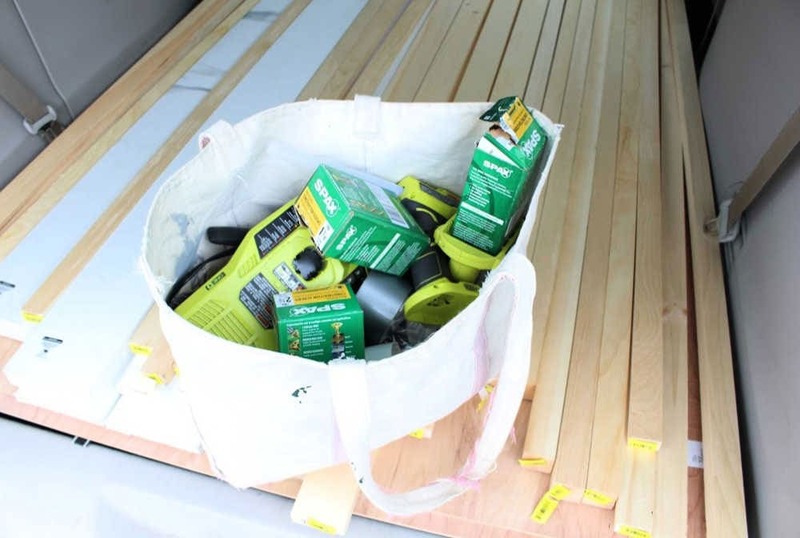 Whether you’re on the go or in your home workshop organization can be a challenge. 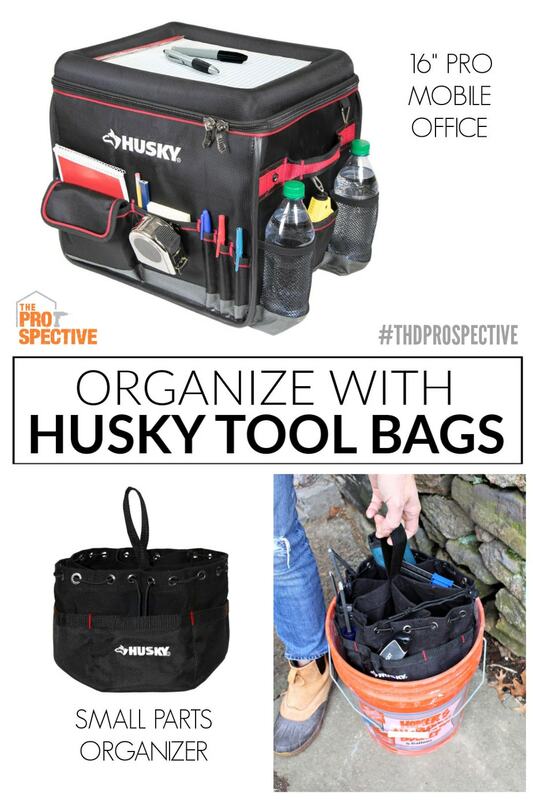 Two Husky tool bags to help keep you organized. A place for everything and everything in its place. 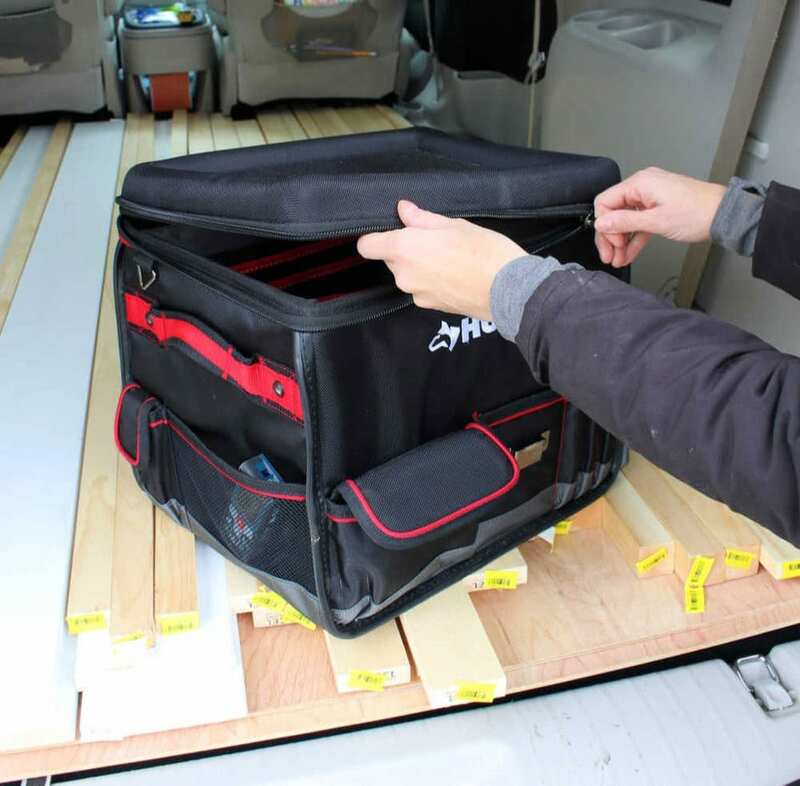 The Husky 16″ Pro Mobile Office and the 10″ 19 compartment canvas small parts bag are two organization tools to help you maintain order and keep things readily available. 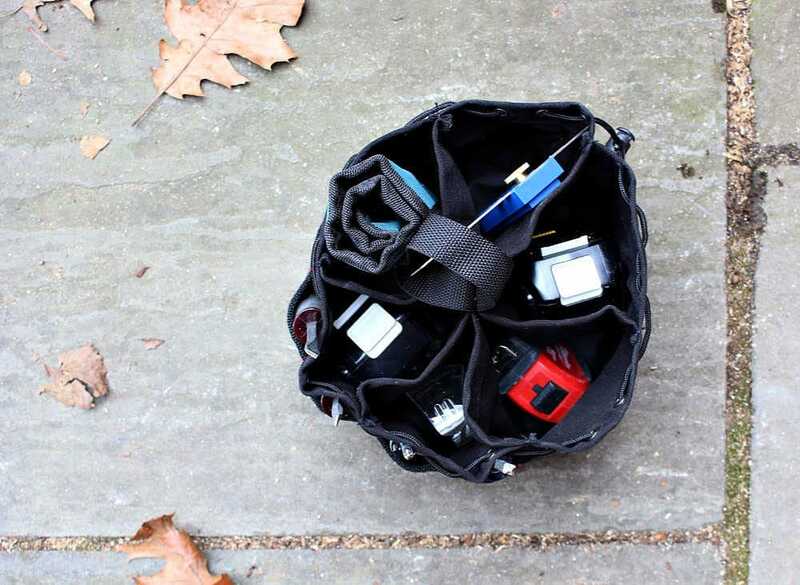 The Husky black canvas small parts bag with 19 pockets is a classic way to keep your small parts organized. 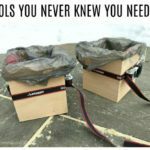 Made to fit perfectly inside a five gallon bucket you can stack 3-4 of these canvas bags on top of each other. 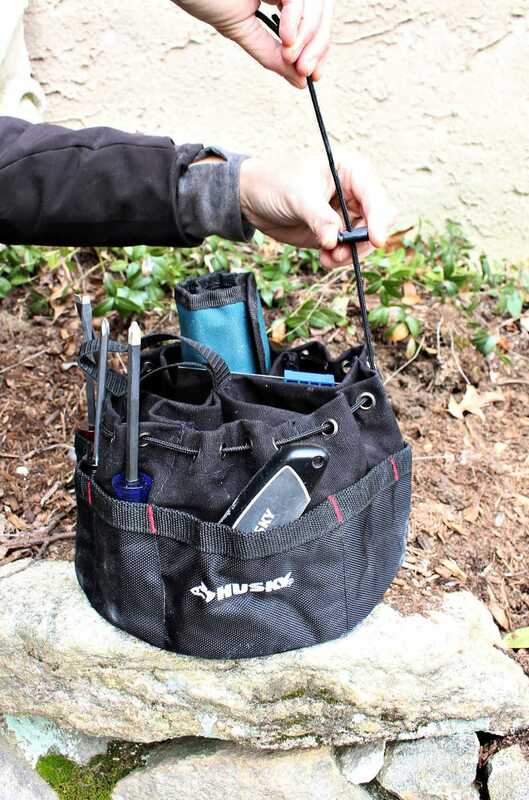 With 13 exterior pockets you have a place for each hand tool. Made of heavy-duty canvas the bottom and exterior pockets are reinforced with poly ripstop material. In addition the pockets are tacked with brilliant red thread detail for easy separation. The interior of this Husky small parts organizer is divided into six wedge shape sections. Plenty big for a tape measure or spare battery. 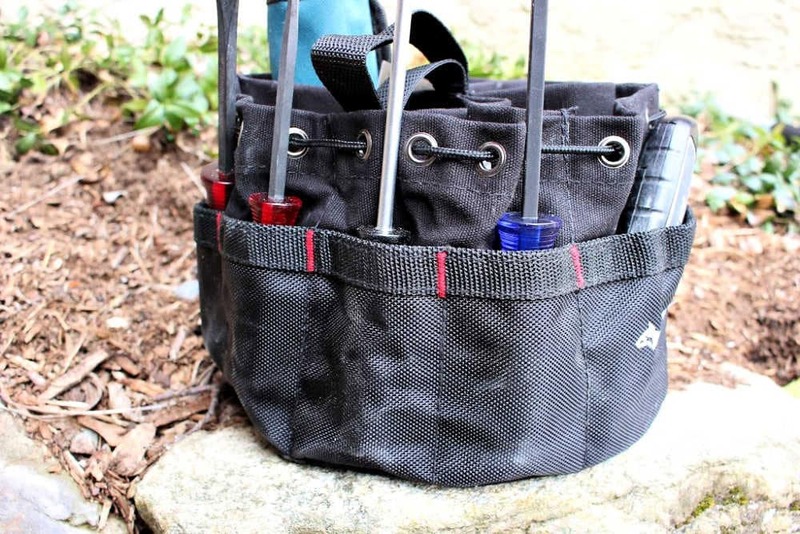 A great solution for organizing all the small bits and hand tools in one contained tool bag. 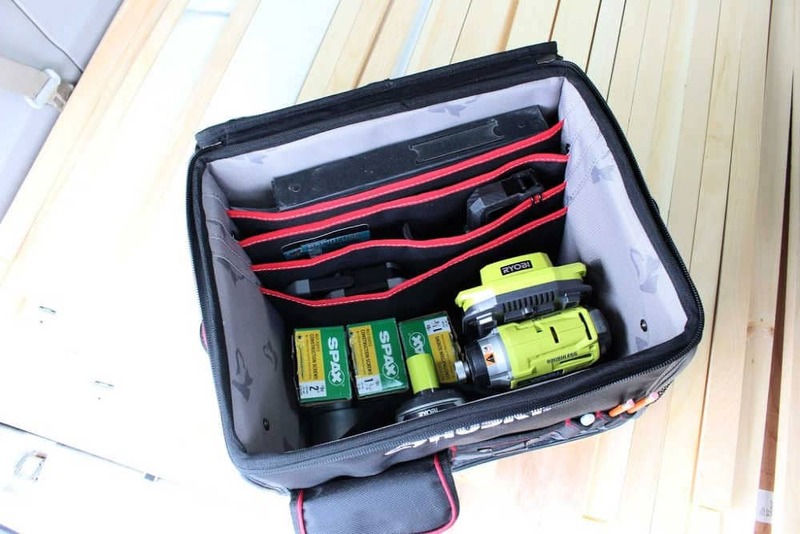 In addition to the small parts organizer you might consider the mobile office bag. Technically it’s designed to be secured with a seatbelt into your passenger seat but truly you can take this tool bag anywhere. This Husky 16″ pro mobile office has a molded lid with raised edges to keep items from sliding off and provides a flat work surface. 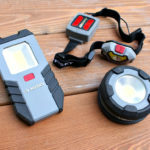 It also has many exterior pockets for all the necessary items. I work remotely a few times each year mostly at my kids schools and I travel with every tool I may require. Just look below at my completely unorganized transport bag! Bits and pieces flying everywhere. 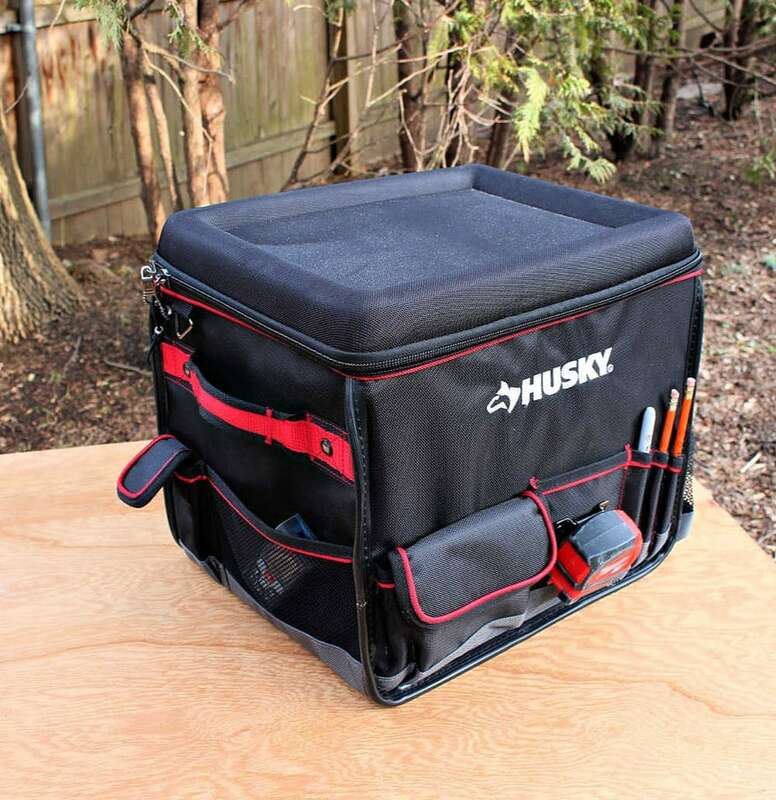 The Husky mobile office is the perfect solution for organizing all the necessities. So many pockets for notebooks, pencils and water bottles plus the interior has padded dividers that will fit your laptop, tablet and file folders. In addition there’s space for tools, hardware, lights and more. 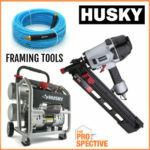 If you’re on the go and looking for an organization method consider this Husky mobile office.